FDA | Sentry BioPharma Services, Inc. In a recent news release the FDA described research it has conducted regarding detection of protein carbonylation, an oxidative reaction that may occur in therapeutic protein drug products during manufacture, storage, use, and transport potentially causing structural alterations and threatening stability, quality, and clinical efficacy of such products. FDA scientists have refined an antibody-binding assay with high sensitivity to detect protein carbonylation allowing many samples to be studied in a short period of time under a variety of conditions. The assay is being used to study the tendencies of various protein products to undergo oxidative carbonylation and whether containers and chemicals that contact proteins may start or speed up these reactions. The goal is to develop methods such as addition of stabilizing agents to counteract protein carbonylation in order to maintain stability, purity, and potency of therapeutic protein products and to avoid any harmful adverse reactions such as unwanted immune responses. The potential for biotechnology to transform medicine remains immense, with several therapeutic protein products already having come into widespread clinical use and hundreds of proteins under clinical investigation. For the FDA, the regulatory oversight of therapeutic protein development poses a great challenge, not only because of the increasing number of products, but also because proteins, by their very nature, are highly variable, and compared to small-molecule drugs, more likely to undergo chemical reactions over time. Chemical reactions that occur in these proteins (for example, during storage in vials before administration to patients) can have a significant impact on protein function. For FDA scientists in the CDER Office of Biotechnology Products (OBP), these reactions are of great interest because they can directly impact the quality, safety, and efficacy of protein products. For decades—before the biotechnological revolution and the rise of therapeutic proteins—FDA drug reviewers focused primarily on small-molecule drugs. Aspirin, for example, contains only nine carbon atoms, whereas the modern protein product bevacizumab contains well over 6,000 carbon atoms. In general, proteins also contain sulfur atoms (bevacizumab has 44! ), and biochemists have long known that sulfur-containing molecules are prone to undergo reactions related to the presence of unstable oxygen and other atoms in our environment. (Proteins are not the only molecules that undergo such oxidative reactions. The rusting of iron tools and statues, where iron atoms interact with oxygen atoms in the air and water, is also oxidative.) In some instances, oxidized proteins can be damaged in various ways, which could in turn trigger an unwanted immune response in patients. This feature is a unique concern with therapeutic proteins. Recently, biochemists have begun to investigate the exact locations of oxidative reactions within large intact protein molecules. Laboratory researchers in OBP, for example, have published important new information (see References) concerning protein carbonylation, which entails the addition of a single atom of oxygen, originating from the environment, to discrete carbon atoms (rather than sulfur atoms) within protein molecules. Although protein carbonylation has been recognized within the context of disease and age-related conditions, its occurrence during the manufacture, storage, use, and transport of therapeutic proteins is a relatively new area of study. For pharmaceutical quality scientists, key issues include: understanding the different tendencies of various protein products to undergo oxidative carbonylation; identifying the role that containers and chemicals that contact proteins may have in these reactions; and discovering reliable methods for specifically and consistently detecting and controlling carbonylation. To detect protein carbonylation, the OBP team has refined an antibody-binding assay that takes advantage of the reactivity of the “carbonyl group,” which is the name given to the carbon- and oxygen-atom grouping that occurs upon protein carbonylation. Carbonyl groups that form in proteins can make the entire protein molecule less stable and lead to damage after degradation or aggregation. By exposing the carbonyl groups that are formed in proteins to a laboratory reagent known as DNPH, the OBP team found that different proteins undergo carbonylation at different levels and at specific sites. The rate and site of carbonylation can depend on temperature, time, and other variables, such as the presence of small amounts of metals that accelerate protein oxidation reactions. The laboratory also investigated the tendency for certain additives in drug formulations to start or speed up these reactions. The methods developed by the team allow many samples, under a variety of conditions, to be studied in a short period of time. Moreover, the method is sensitive enough to detect as little as a single carbonylation modification within a large protein molecule. The findings of the OBP team may help protein drug developers produce therapeutic proteins under optimized manufacturing conditions, potentially with structural alterations or by adding stabilizing additives that could prevent harmful carbonylation reactions. More stable protein drugs could offer a longer shelf life, reduced risk of quality problems, and more predictable clinical performance. Understanding reactions such as protein carbonylation may result in improved versions of current drugs or new drugs with superior stability, purity, and potency. Above all, the goal is to have safe and effective high-quality protein products available for patients. This entry was posted in News Post and tagged biopharmaceutical, biotechnology, clinical trial labeling, cold chain management, drug distribution, FDA, foreign trade zone, GMP pharmaceutical storage, pharmaceutical cold chain management, Sentry, Sentry BioPharma Services, SISPQ, Temperature-sensitive pharmaceutical storage, vaccine distribution on September 11, 2018 by Sentry. Wholesale drug distributors are a link between manufacturers and health care professionals. Their role is to ensure prescription medications are delivered safely and efficiently to thousands of health care practitioners and pharmacies nationwide every day. While the U.S. health care supply chain is one of the most secure and sophisticated in the world, there is a growing network of rogue wholesale drug distributors selling potentially unsafe drugs in the U.S. market. In order to protect your patients from unsafe or ineffective drugs, the FDA urges health care professionals to verify that their supplier is licensed by the state. 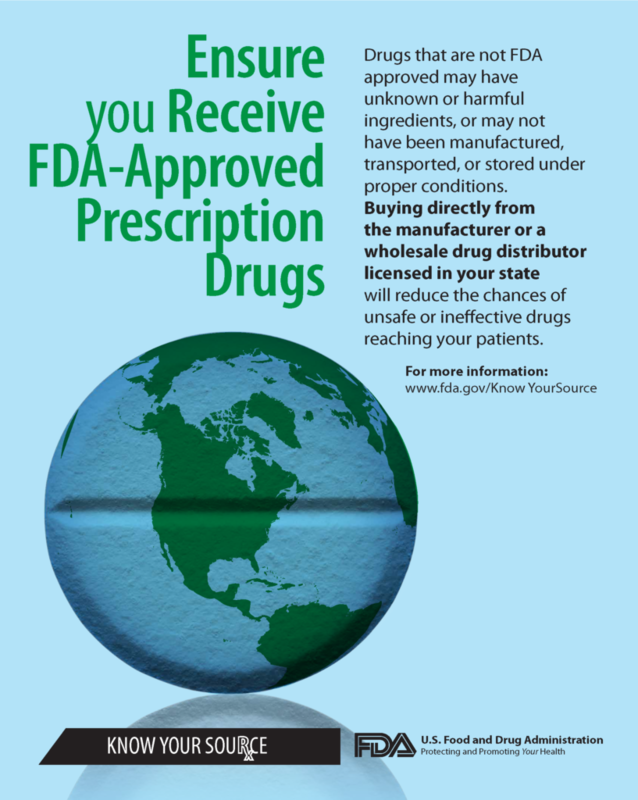 Drugs from rogue wholesale drug distributors may harm your patients and expose them to unknown risks or side effects. The FDA advises health care providers to know the source for prescription drugs. For more information about Sentry’s pharmaceutical licensing, registration and international compliance program, contact Sentry via email or by phone at 1-866-757-7400. This entry was posted in News Post and tagged drug distributor, drug distributors, drugs, FDA, Food & Drug Administration, GMP pharmaceutical storage, GMP storage, GMP warehousing, health care supply chain, medications, pharmaceutical, pharmaceutical cold chain management, pharmaceutical supply chain management, pharmaceuticals, prescription, prescription drugs, Sentry, Sentry BioPharma Services, Temperature-sensitive pharmaceutical storage, vaccine distribution, vaccine storage on November 30, 2016 by Sentry. Sentry BioPharma Services continues to strengthen its leadership position in providing high quality and secure pharmaceutical supply chain services to pharmaceutical clients and companies utilizing biotechnology to manufacture biological products and vaccines. Therefore, we would like to draw attention to an upcoming public meeting concerning the Drug Supply Chain Security Act (DSCSA) hosted by the FDA. The Food & Drug Administration (FDA) will be holding a public meeting to provide members of the pharmaceutical distribution supply chain and interested stakeholders an opportunity to discuss with FDA the implementation of the Drug Supply Chain Security Act’s (DSCSA’s) product identification requirements. To be held on October 14, 2016, from 9:00 a.m. to 4:00 p.m. at FDA’s White Oak Campus in Silver Spring, MD, the meeting, “Progress Toward Implementing the Product Identification Requirements of the Drug Supply Chain Security Act,” will include presentations from the public and follow-up questions from an FDA panel. The objective of the meeting is to discuss the pharmaceutical supply chain’s progress toward implementing the DSCSA’s product identification requirements, including best practices in each sector of the pharmaceutical distribution supply chain to conduct product tracing, verification, and identification. The Drug Quality and Security Act (DQSA), was signed into law by President Obama on November 27, 2013. Title II of DQSA, the Drug Supply Chain Security Act, outlines critical steps to build an electronic, interoperable system to identify and trace certain prescription drugs as they are distributed in the United States. facilitate more efficient recalls of drug products. Drug manufacturers, wholesale drug distributors, repackagers, and many dispensers (primarily pharmacies) will be called on to work in cooperation with FDA to develop the new system over the next 10 years. 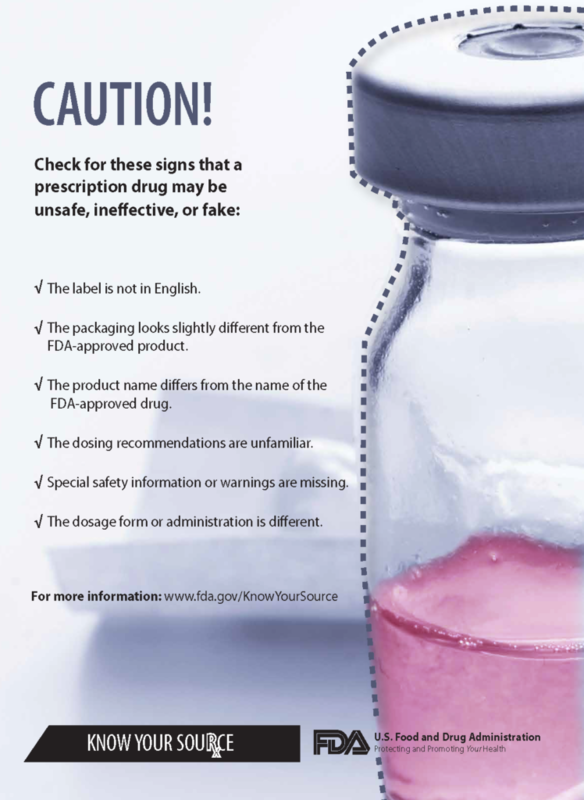 Product identification: Manufacturers and repackagers to put a unique product identifier on certain prescription drug packages, for example, using a bar code that can be easily read electronically. 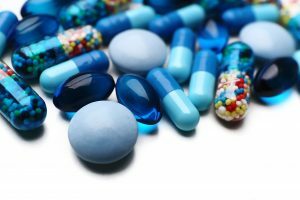 Product tracing: Manufacturers, wholesaler drug distributors, repackagers, and many dispensers (primarily pharmacies) in the drug supply chain to provide information about a drug and who handled it each time it is sold in the U.S. market. Product verification: Manufacturers, wholesaler drug distributors, repackagers, and many dispensers (primarily pharmacies) to establish systems and processes to be able to verify the product identifier on certain prescription drug packages. Detection and response: Manufacturers, wholesaler drug distributors, repackagers, and many dispensers (primarily pharmacies) to quarantine and promptly investigate a drug that has been identified as suspect, meaning that it may be counterfeit, unapproved, or potentially dangerous. Notification: Manufacturers, wholesaler drug distributors, repackagers, and many dispensers (primarily pharmacies) to establish systems and processes to notify FDA and other stakeholders if an illegitimate drug is found. 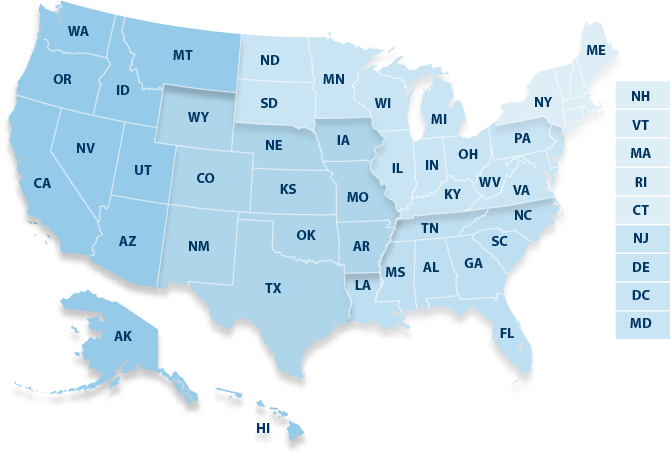 Wholesaler licensing: Wholesale drug distributors to report their licensing status and contact information to FDA. This information will then be made available in a public database. Third-party logistics provider licensing: Third-party logistic providers, those who provide storage and logistical operations related to drug distribution, to obtain a state or federal license. The law requires FDA to develop standards, guidance documents, and pilot programs and to conduct public meetings, in addition to other efforts necessary to support efficient and effective implementation. FDA is developing a schedule for implementing the law’s requirements. This system will enhance the U.S. Food and Drug Administration’s ability to help protect consumers from exposure to drugs that may be counterfeit, stolen, contaminated, or otherwise harmful. The system will improve detection and removal of potentially dangerous drugs from the drug supply chain to protect U.S. consumers. Failure to comply with the requirements of the law can result in penalties. The development of the system will be phased in with new requirements over a 10-year period. These requirements will include providing product and transaction information at each sale with lot level information, in paper or electronic format, and placing unique product identifiers on individual drug packages. The FDA is soliciting either electronic or written comments related to this public meeting by November 14, 2016. To register or request to make a presentation, visit the public meeting web page. For more information about how Sentry’s secure drug supply chain management programs can ensure drug product integrity in every phase of the pharmaceutical supply chain, contact Sentry via email or by phone at 1-866-757-7400. This entry was posted in News Post and tagged biological drugs, biological products, biopharmaceutical, biopharmaceutical products, biopharmaceutical supply chain, drug distribution, drug products, drug supply chain, Drug Supply Chain Security Act’s (DSCSA’s), FDA, finished drug product, Food & Drug Administration, global drug distribution, pharmaceutical, pharmaceutical 3PL, pharmaceutical distribution, pharmaceutical distribution supply chain, pharmaceutical logistics, pharmaceutical supply chain, pharmaceutical supply chain management, pharmaceuticals, secure drug supply chain, secure pharmaceutical supply chain, Sentry, Sentry BioPharma Services, temperature-sensitive drug distribution, temperature-sensitive product shipping, vaccine, vaccines on October 3, 2016 by Sentry. CMT affects 1 in every 2,500 people worldwide, (a total of 2.8 million). That’s 1 too many. What if each of those 2.8 million people ALL told five people about CMT? Fourteen million new people would learn about CMT! This is why the Charcot-Marie-Tooth Association (CMTA) declared September as CMT Awareness Month six years ago! Charcot-Marie-Tooth Disease, or CMT, is a group of inherited disorders that affect the peripheral nerves, which are the nerves outside the brain and spinal cord. There are 90 kinds of CMT. Each kind is caused by a different kind of mutation, and more causes are being discovered every year. CMT is just one kind of neuropathy (also called peripheral neuropathy), meaning simply that the peripheral nerves are damaged. There are many other causes of neuropathy, including the most common cause—diabetes. CMT affects about 2.8 million people worldwide, of all races and ethnic groups. Where Did the Name CMT Come From? Charcot-Marie-Tooth is named after the three physicians who were the first to describe it in 1886: Jean-Martin Charcot, Pierre Marie and Howard Henry Tooth. CMT is inherited. It is not contagious, nor is it caused by anything in the environment. The most common forms of CMT are passed down from one generation to the next, meaning that it is dominantly inherited. Some forms of CMT are recessively inherited—a person may be affected even though his or her parents do not have CMT. In this case, each of the parents harbors a mutation in one of their two copies of a CMT gene. If a child inherits one mutated CMT gene from each of their parents (the chance of this happening is one out of four), the child will develop CMT. Sometimes the mutation that causes CMT happens spontaneously during the process that produces the eggs or sperm. In these rare cases, a child will have CMT even though neither parent has CMT. If a child has such a spontaneous mutation, he/she may pass that mutation down to his/her offspring. Some types of CMT cause damage to the covering (myelin sheaths) that surrounds nerve fibers. Other kinds of CMT directly damage the nerves fibers themselves. In both cases, the damaged nerve fibers result in neuropathy. The nerves in the legs and arms, which are the longest, are affected first. Nerve fibers that create movement (called motor fibers) and nerve fibers that transmit sensations (called sensory fibers) are both affected. CMT causes weakness and numbness, usually starting in the feet. The foot of a person with CMT. The lack of muscle, a high arch, and claw toes are signs of this genetic disease. A diagnosis of CMT is established through a thorough neurological evaluation by an expert in neuropathy, including a complete family history, physical exam, and nerve conduction tests, and appropriate genetic testing. Genetic testing can provide the exact cause for most people who have CMT. There are no known treatments that will stop or slow down the progression of CMT, but the CMTA is funding research to find these treatments. Physical therapy, occupational therapy, and physical activity may help maintain muscle strength and improve independent functioning. Orthopedic equipment (such as braces, inserts, AFOs or orthopedic shoes) may make it easier to walk. Orthopedic surgery on the feet can often maintain or even restore function to enable walking. Although there is no cure for CMT, there are many clinical trials both completed and ongoing currently. As many as 199 according to the website clinicaltrials.gov. Participating in a clinical trial is an invaluable way to get involved in helping the research community cure CMT and related inherited neuropathies (INs). There are various types of clinical trials. Clinical trials are sometimes referred to as clinical studies or clinical research involving human volunteers that have been Food and Drug Administration (FDA) and European Medicines Agency (EMA) approved, the regulatory agencies for the U.S. and Europe. These agencies require that a potential therapy be extensively tested in large groups of human volunteers before it can receive approval for commercialization. Clinical trials are a vital part of the scientific research process and essential for developing therapies to prevent, treat, reverse and cure CMT. Strict adherence to clinical trial material management protocols, in combination with proven GMP storage, clinical trial labeling, secondary packaging and global drug distribution allows Sentry to provide clinical trial outsourcing clients with a variety of flexible services. For more information about how Sentry BioPharma Services can integrate your requirements into a scalable, secure, value-added clinical trial logistics solution, contact Sentry via email or by phone at 1-866-757-7400. This entry was posted in Events Post, News Post and tagged Charcot-Marie-Tooth, clinical trial labeling, clinical trials, CMT, CMT Awareness Month, CMTA, Diabetes, EMA, European Medicines Agency, FDA, Food and Drug Administration, genetic testing, global drug distribution, GMP storage, Inherited Disorders, inherited neuropathies, Neuropathy, peripheral neuropathy, secondary packaging, Sentry, Sentry BioPharma Services on September 6, 2016 by Sentry.